Ombré Smoothie with Hawaiian Papaya! Hawaiian papayas are one of my favorite fruits! 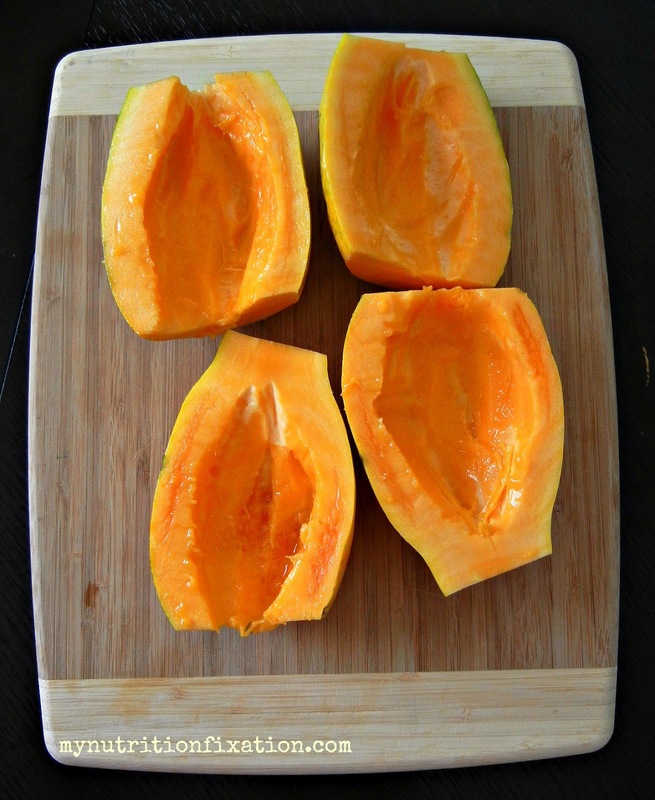 Unlike the more traditional varieties such as Sunrise, Hawaiian Kapaho papayas are sweeter and less dense. One cup of fresh papaya contains just 65 calories. Papayas are a wonderful source of fiber, vitamin A (lycopene and zeaxanthin). In addition, they are a pretty good source of vitamin C and folic acid. 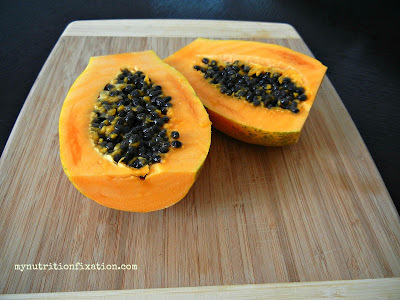 Papaya is also an anti-inflammatory that has been linked to potentially reduce symptoms of asthma and arthritis. For the ombré look, I created two separate smoothie recipes. 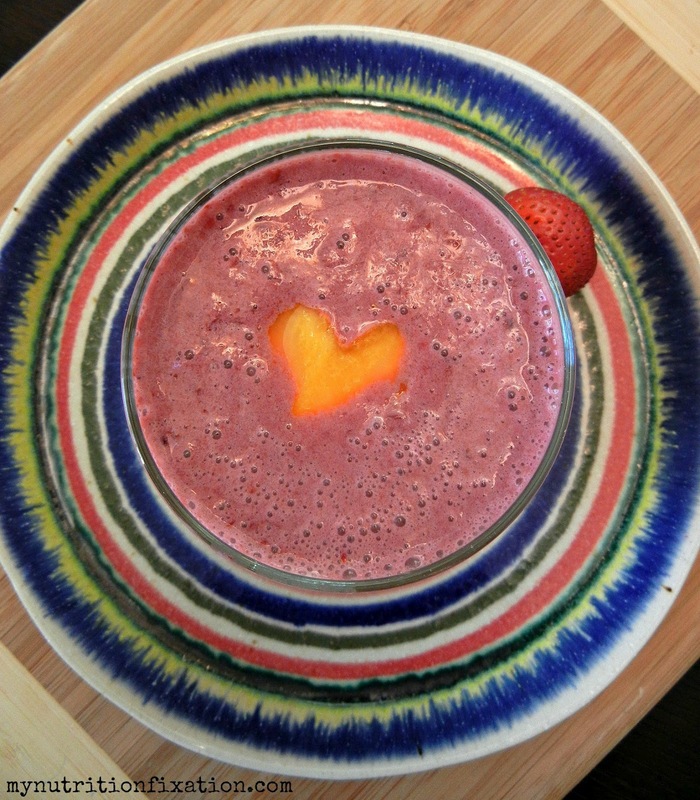 The first is a creamy tropical papaya recipe and second is a basic berry smoothie base. 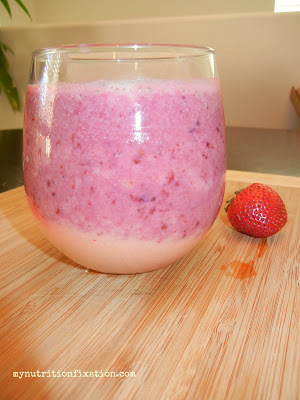 I prefer (and recommend) using frozen fruit to get a thick and creamy consistency. 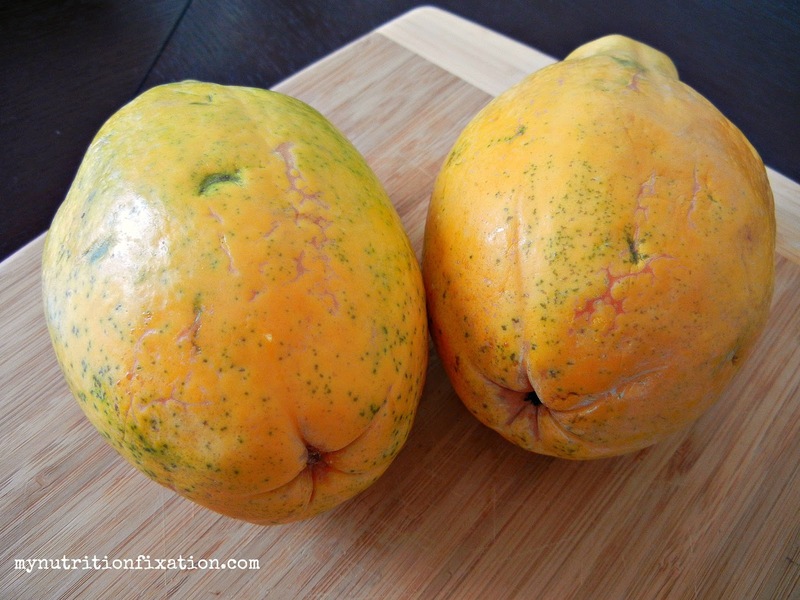 Where to buy Hawaiian Papaya? Try your local specialty grocery. If you live in southern California, Gelson's markets are currently in stock! Recipe makes 2.5 servings (approx. 2 glasses). 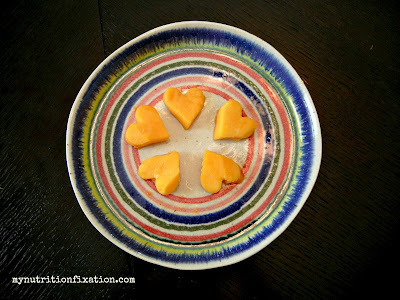 1 cup fresh Hawaiian papaya, diced and frozen. 2 Tbs. 2% Greek yogurt. or pineapple juice also complement nicely). ½ cup mixed berries, frozen. Make each smoothie separately (by blending together the ingredients in a blender) and combine by first adding the papaya smoothie (using half of the mixture) and layer the berry smoothie on top. Repeat for second glass. Get Heart Smart: Reinventing the PB and J! All out of jam for that PB and J ? Well don’t fear because My Nutrition Fixation is here to the rescue with a simple lower sugar option. Fresh red grapes: Are a natural source of fiber and a plethora of antioxidants. These antioxidants include phytonutrients, which are believed to play a critical role in longevity. Most significantly, fresh grapes are a natural source reservatrol. Resveratrol is a powerful and unique compound found in fresh grape skin, seeds and flesh, as well as wine and peanuts. Reservatrol originally gained its notoriety when Oprah boasted about its benefits in the early 2000’s. Since, reservatrol has been linked to protect against heart disease including atherosclerosis, a potential anticancer agent, antibacterial agent, a potential to help regulate blood sugar, and possibly help regulate body weight. Adding fresh fruit in place of sugary preserves is a wonderful and fun way to reduce calories! In addition, this recipe is super fast and kid friendly! 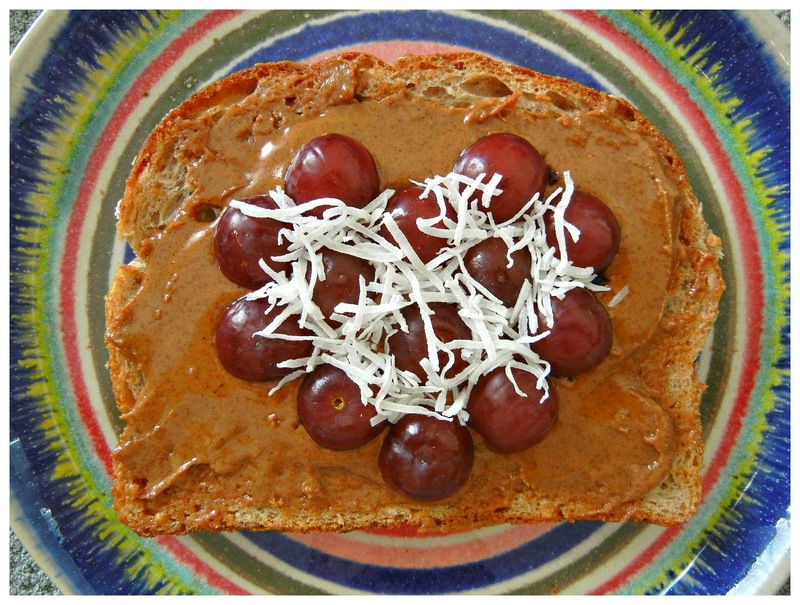 Another tip is to add almond butter with flax to increase the fiber content. ¼ cup fresh red grapes rinsed and halved (other fresh fruit such as strawberries make great toppings too). 1 slice of whole grain bread. ½ Tbs. of Almond butter (or nut butter of choice – I used Natural Balance Creamy Almond Butter Plus Flax). 1 Tsp. agave nectar (optional). Spread almond butter evenly onto the slice of bread. Assemble fruit and other toppings. Add the agave nectar. Enjoy!! With the recent uproar of gluten-free and wheat-free products on the market, I am also noticing a lot of misrepresentation and misunderstanding on the subject matter. I am beginning to see more misuse and abuse of terms, definitions, studies, etc. 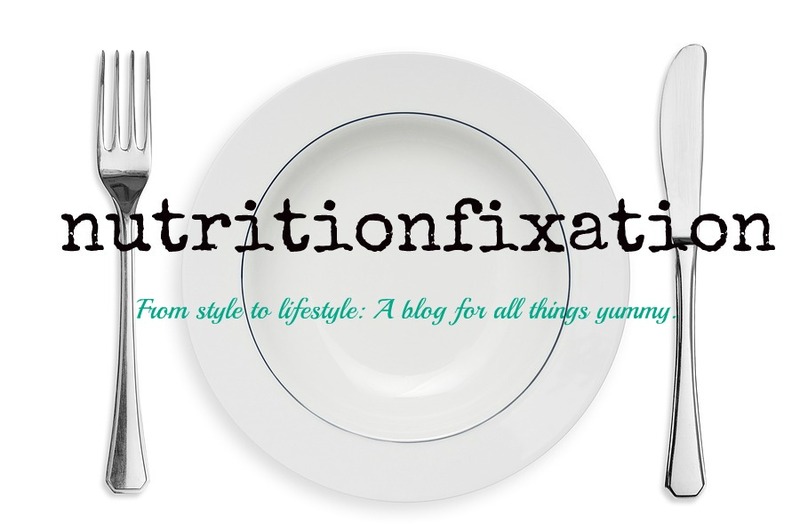 I have recently read a very upsetting blog post that came from a person who is trying develop a “health guru” persona with zero credentials, no fundamental nutrition knowledge, and not a single citation to support his “solution” (which is a topic for another day). To be honest, I rarely go out of my way to critique individual’s theories, unless, they are completely outrageously out there (and I mean OUT THERE). WHAT is “Healthy”: As a person who is in the field of nutrition and dietetics, I am very cautious of the use of the word “healthy.” After all, we all have a different definition what is healthy. To some, it may be defined how an individual feels, and to others, it may just be a matter of body weight. Some may define it as how much energy they have, while others may define it to how often they get sick, or even a combination of both. In any case, what is healthy and what is defined as healthy varies from individual to individual whether one is a doctor, nutritionist, personal trainer, lawyer, computer programmer, blogger etc. We all have different nutritional needs, allergies, and intolerances, and for that reason, who am I (or any individual) to tell people (the general public) without knowing their (individual) personal needs, goals, diet history, or medical history what is healthy for them? Myth 1: ALL grains are considered wheat. No! Not all grains are wheat. What are grains: The USDA defines grains as wheat products such as items made with flour that comes from the wheat family. In addition grains ARE NOT exclusive to wheat products. Grains also include corn, rice (including brown rice), rye, this also includes quinoa (which is technically a seed). 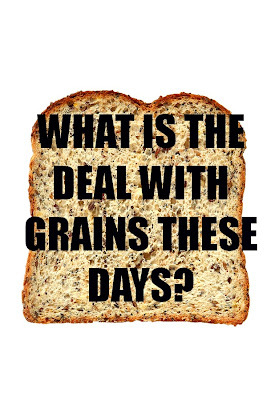 The USDA recommends that consumers make at least half of their grains whole grains (unrefined). Wheat and other grains may be used as processing agents for foods that go beyond grain products, this includes many types of alcohols. Myth 2: Grains cause autoimmune disease. NO!! Autoimmune diseases are typically genetic diseases that range from Type 1 Diabetes to Multiple Sclerosis. There is NO published scholarly data to date that even comes close to directly linking grains or wheat as a cause of autoimmune disease. HOWEVER, they are some pre-existing autoimmune diseases that could be affected by diet. For instance, Celiac disease is an autoimmune disease where the body has a difficult time processing gluten, a specific protein that contains gladian that is found in wheat, rye, and barley and oat products. Instead of proper digestion of gluten, it actually literally attacks the body specifically the microvilli on the small intestine. These microvilli are essential components of the body that are needed to absorb nutrients. Typically, those that suffer from Celiac disease experience symptoms just with a small crumb of wheat (due to cross contamination). Keep in mind that this is VERY different from an allergy or a simple bodily reaction. I will post more on this complex topic in future posts! For more info, visit your doctor. NO!!!! The term “anti-nutrient” is not a term that medical health practitioners use. HOWEVER, there are many nutrients that impair absorption of other nutrients across the board of EVERY food group from grains, fruits, veggies, dairy etc. I did lightly touch on this in my iron series. Unfortunately, in life and science they are many paradoxes that we just cannot explain. For instance, oxygen, a molecule that is essential for life, also has a detrimental effect. Over time, oxygen causes our cells to become reactive and unstable, thus, causing aging and possibly cancer. However, we don’t tell people to stop breathing to avoid oxidation! Therefore, if you are concerned about your nutrition status or a food impairing the absorption of nutrients, I highly recommend that you speak to a medical doctor or nutritionist /registered dietitian before cutting the nutrient or food group out completely. If you have further questions or would like a referral, please email me. Myth 4: The launch of the Whole Grains as a food group on the USDA Food Pyramid is the cause of obesity in the U.S. Believe it or not they are actually people that actually believe this notion! I can honestly tell you that I have been following this topic very closely for many years now and this issue is much more complex than some would assume. There are many variables that contribute to the obesity crises in the US and I can assure you that the millions of Americans who consume fast food were and are not keeping the USDA Food Pyramid in mind when ordering that Big Mac. Fact: Wheat may be an inflammatory. Our bodies are complex machines and each individual responds to certain foods differently. Thus, wheat along with many other foods can possibly have inflammatory affects on some bodies. HOWEVER, this doesn’t mean that it has the same effect on your body. If you are concerned, I recommend keeping a food diary to help pinpoint any food issue. Keep in mind that cutting foods out of your diet is a personal choice and just because it works well for you does not mean it works for everybody. Fact: Wheat and other grain products may contain pesticides. Much more on the pesticide issue in future posts! Fact: There is NO “psychic” food guru who knows how YOU are feeling. If I ever do discover one, I will be the first one to let you know!! Enough Said. Sareen S. Gropper, Smith, J. L., Groff J. L. (2009). Advanced nutrition and human metabolism. Zumdahl, D. (2008). Introductory chemistry. Boston, MA: Houghton Mifflin Company. Even though the raw foods fad appears to be a food trend that faded out rather quickly, the companies with some of the stronger product lines still seem to be thriving. 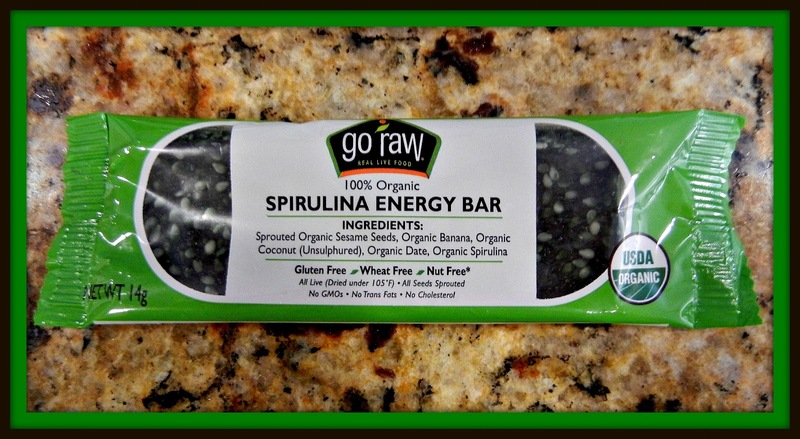 I absolutely love Go Raw’s products. Not particularly because they are raw, but because they are able to take a creative spin on some unconventional (and healthy) ingredients and make them taste great. I love this product in particular because it is very difficult to find food products (as opposed to supplements) that have spirulina in them. Spirulina, what many would classify as a “super food” continues to be an enigma to me. Spirulina is a type of of blue-green algae that has some protein, vitamins, minerals, including, antioxidants that can help protect cells from damage. In addition, it contains B vitamins, beta-carotene, vitamin E, minerals such as manganese, zinc, copper, iron, selenium. It is also a source of gamma linolenic acid (aka omega-6 – a common fatty acid in American diets – more on omega-6 in future posts). Spirulina has also been linked (in very recent and inconclusive studies) to immune support against infection and chronic illness. Another study has found spirulina as anti-allergenic due to its ability to hinder the release of histamine (the substance in our body responsible for allergic reactions such as a runny nose). An additional study has linked spirulina to help promote the growth of L. acidophilus in the gut (a good bacteria). I really like this bar! It is made with sesame seeds, banana, coconut, dates, and spirulina. I could mainly taste the banana and sesame seeds. The bar has just 70 calories which makes a great light on–the-go snack. Potential for Improvement: YES, but it is pretty good as is! Watermelon is a fruit that truly lives up to its name! Watermelon’s total mass contains about 90% water! 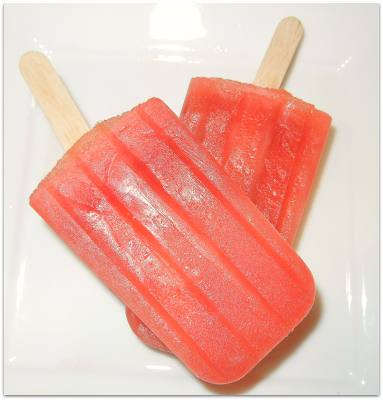 Which makes it a perfect fruit for those hot summer months where hydration is critical! Watermelon also makes a great low calorie snack! One cup of diced watermelon contains just 46 calories! In addition, watermelon is a natural anti-inflammatory which has been linked to potentially reduce (but not necessarily a cure) the symptoms of a number of conditions including asthma, arthritis, and even headaches! Watermelon, a naturally alkaline fruit, has a surprisingly high content of a form of beta-carotene and another form of vitamin A called lycopene (same as tomatoes) which functions as a very powerful antioxidant against many types of cancers. How To Pick a Good Watermelon: Based on the condition of the stem and the hollow sound the fruit makes when thumped are the two best indicators when it comes to picking a good watermelon. I prefer to thump my watermelon with my hand. If the fruit feels more solid than hollow, I know that the melon has not fully ripened. 1 small Watermelon, chopped into spears (to be juiced). Popsicle Trays (Try Amazon.com or Williams Sonoma and/ or Bed Bath and Beyond for BPA-free trays). Using a juicer or a fruit muddler, extract the juice from the melon and transfer it to a liquid measuring cup. Thoroughly stir in the xanthan gum until fully dissolved. Pour liquid into trays. Freeze for about two hours. To remove pops form the tray, run under hot water for a few seconds. Remove pop and enjoy! I always find it very difficult to find good salad dressings. Many commercially sold dressing are highly processed and loaded with calories. Often times their ingredients are not always favorable, sometimes containing a ton of added sugars, fats and sodium, including high fructose corn syrup or partially hydrogenated oils (also known as bad and worse). And if things already weren’t bad enough, they don’t even taste that fantastic. I can’t even tell you how simple this dressing is. It is 45 calories per serving (2 tablespoons – which is a very very generous serving too). You won’t believe your taste buds! After preparation, can be refrigerated up to 4 days. 1/3 cup 2% Greek Yogurt. 1 Tbs. Extra Virgin Olive Oil. 1 Tsp. Garlic Salt (use garlic powder or crushed garlic cloves for a lower sodium option). ¾ Tbs. Apple Cider Vinegar. ½ Tbs. Grated Parmesan Cheese. Fresh Ground Pepper (to taste). In a small bowl, mix together all of the ingredients. 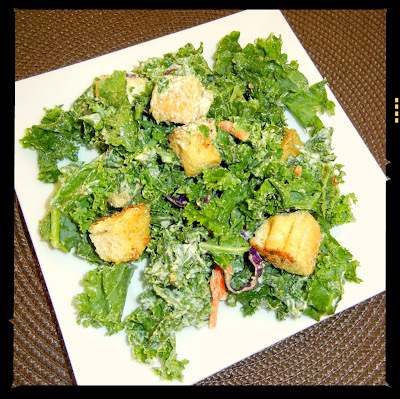 Serve over a bed of lettuce (kale pictured) or use as a dipping sauce! Allergen info: Contains milk and soy. May have traces of almonds, hazelnuts and gluten. I have never been a huge fan of white chocolate. I have always been a dark chocolate person who occasionally will eat milk chocolate. Being such a huge fan of Divine’s dark and milk lines, I decided to venture out of my comfort and knowledge zone and write about something different. 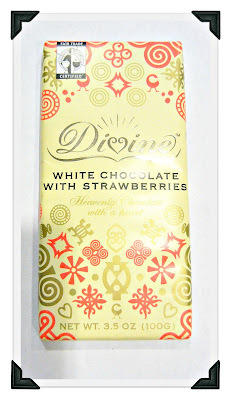 As creamy as the white chocolate is and as crispy the strawberries are, I can help but wonder how much dietetic value I get compared to Divine’s dark chocolate like (which really is divine, if you have not tried them). So I did a little digging for this post. Many chocolates, dark, milk, and white contain cocoa butter as their primary fat of choice. Cocoa butter contains a 50/50 split of two types of fat, heart healthy monounsaturated oleic acid (the same fat as olive oil) and stearic that is found in butter or palmic acid (both saturated fats). Many researchers believe that even though cocoa butters are 50% saturated fats, they also believe that these same fats, specifically stearic acid are not fully absorbed into the body. What does this mean? It means that the saturated fats have a neutral effect on regulating cholesterol levels, leaving the other 50% of oleic acid to do its heart healthy work lowering cholesterol! 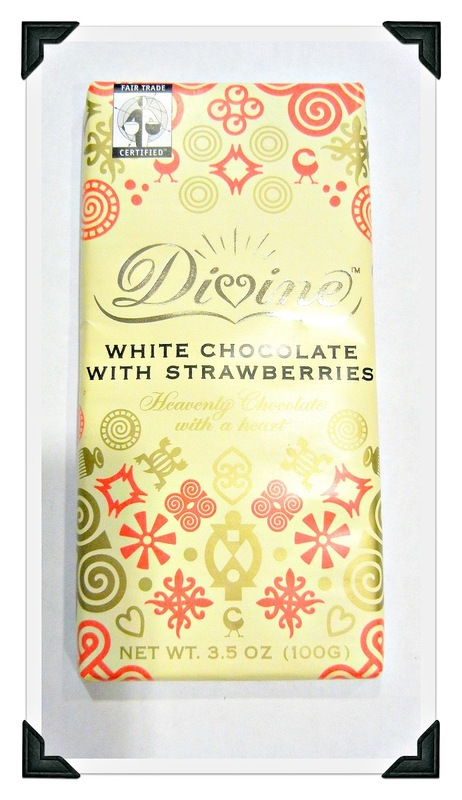 Although Devine’s white chocolate is delicious, I am not able to give it as high of score as their dark line for dietetic profile. Although they use cocoa butter, the freeze dried strawberries with depleted nutrient content and 0g of fiber will have to lower their score.